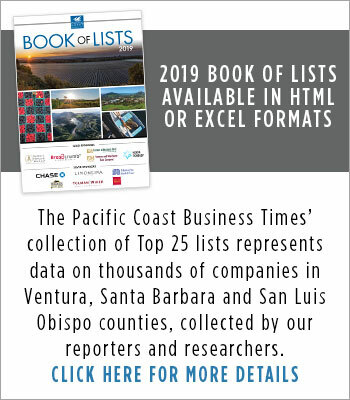 The Pacific Coast Business Times is authorized to publish legal notices in Santa Barbara County, including fictitious business names, alcohol licenses, summons, notice of petition to administer estate, name change, trustee sale and others. Please contact the Circulation Director for details on pricing. Insertion and copy deadline is seven days prior to publication. B/E Aerospace, 3355 East La Palma Ave., Anaheim, CA 92806. BE Aerospace, Inc., 1400 Corporate Center Way, Wellington, FL 33414. This statement was filed with the County Clerk of Santa Barbara County on October 05, 2010. This statement expires five years from the date it was filed in the Office of the County Clerk. I hereby certify that this is a correct copy of the original statement on file in my office. Joseph E. Holland, County Clerk (SEAL) by Thomas Pearson. Original FBN No. 2010-0003023. Published October 22, 29, November 5, 12, 2010. Pacific Paper Janitorial Supply, 132 Garden Street, Santa Barbara, CA 93101; Mailing Address: 12821 S. Figueroa Street, Los Angeles, CA 90061. Empire Chemical Co., Inc., 12821 S. Figueroa Street, Los Angeles, CA 90061. This statement was filed with the County Clerk of Santa Barbara County on October 08, 2010. This statement expires five years from the date it was filed in the Office of the County Clerk. I hereby certify that this is a correct copy of the original statement on file in my office. Joseph E. Holland, County Clerk (SEAL) by Eva Chavez. Original FBN No. 2010-0003059. Published October 22, 29, November 5, 12, 2010. Your Personal Interior Designer, 2923 Verde Vista Dr., Ste. C, Santa Barbara, CA 93105. Jacquelyn D. Carter, Rodell Carter, 2923 Verde Vista Dr., Ste. C, Santa Barbara, CA 93105. This statement was filed with the County Clerk of Santa Barbara County on October 12, 2010. This statement expires five years from the date it was filed in the Office of the County Clerk. I hereby certify that this is a correct copy of the original statement on file in my office. Joseph E. Holland, County Clerk (SEAL) by Jo Ann Barragan. Original FBN No. 2010-0003086. Published October 22, 29, November 5, 12, 2010. Santa Barbara Living – Real Estate Brokerage Incorporated, 2309 State St., Santa Barbara, CA 93105. 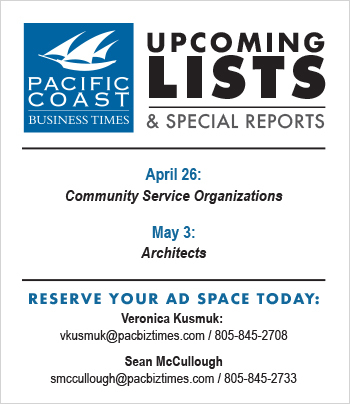 Santa Barbara Living – Real Estate Brokerage Incorporated, 2309 State St., Santa Barbara, CA 93105. This statement was filed with the County Clerk of Santa Barbara County on October 13, 2010. This statement expires five years from the date it was filed in the Office of the County Clerk. I hereby certify that this is a correct copy of the original statement on file in my office. Joseph E. Holland, County Clerk (SEAL) by Jo Ann Barragan. Original FBN No. 2010-0003118. Published October 22, 29, November 5, 12, 2010. Campanelli Construction, 728 Union Ave., Ste B, Santa Barbara, CA 93103. Campanelli & Associates Corporation LT., 728 Union Ave., Ste B, Santa Barbara, CA 93103. This statement was filed with the County Clerk of Santa Barbara County on October 01, 2010. This statement expires five years from the date it was filed in the Office of the County Clerk. I hereby certify that this is a correct copy of the original statement on file in my office. Joseph E. Holland, County Clerk (SEAL) by Jo Ann Barragan. Original FBN No. 2010-0002987. Published October 22, 29, November 5, 12, 2010. 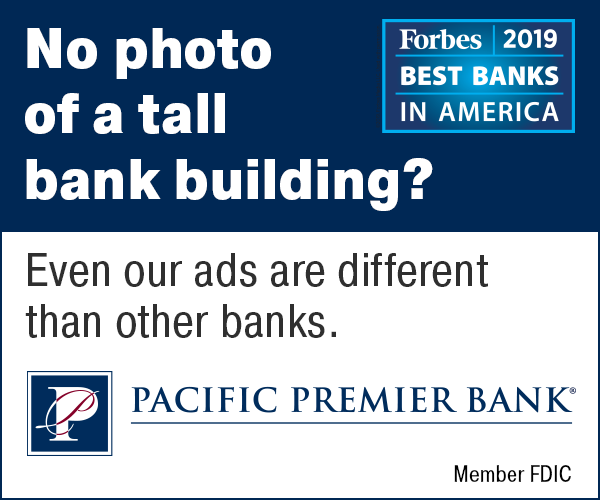 The Paskin Group, 735 State St., Suite 416, Santa Barbara, CA 93101. TPG Management, LLC, 641 Higuera Suite 302, San Luis Obispo, CA 93401. This statement was filed with the County Clerk of Santa Barbara County on September 30, 2010. This statement expires five years from the date it was filed in the Office of the County Clerk. I hereby certify that this is a correct copy of the original statement on file in my office. Joseph E. Holland, County Clerk (SEAL) by Janet Hansen. Original FBN No. 2010-0002967. Published October 22, 29, November 5, 12, 2010. Baileys Handcrafted, 516 E. Gutierrez Street, Suite F, Santa Barbara, CA 93103. John C. Bailey, 7336 Aviano Ave., Goleta, CA 93117. This statement was filed with the County Clerk of Santa Barbara County on September 30, 2010. This statement expires five years from the date it was filed in the Office of the County Clerk. I hereby certify that this is a correct copy of the original statement on file in my office. Joseph E. Holland, County Clerk (SEAL) by Jo Ann Barragan. Original FBN No. 2010-0002985. Published October 29, November 5, 12, 19, 2010.